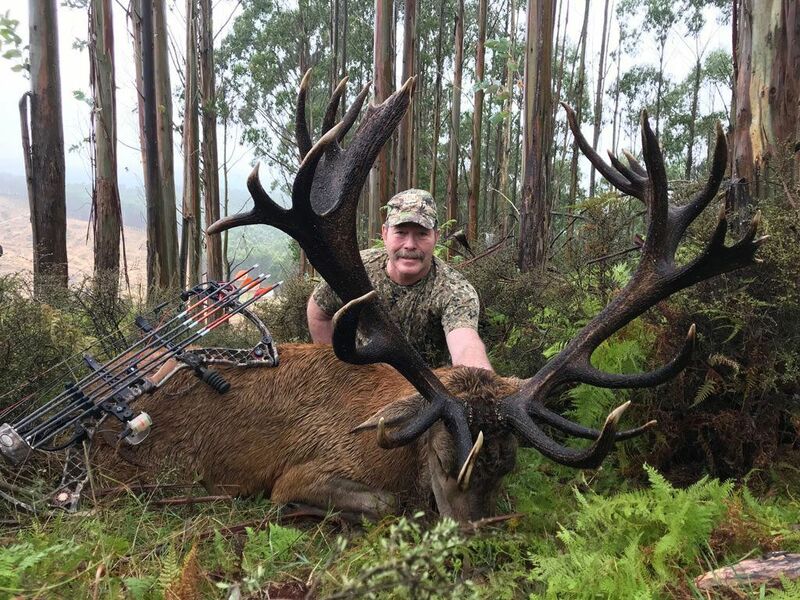 What was it about hunting red stags in New Zealand that really appealed? New Zealand was on my bucket list. When I retired from the Police force, I wrote down the species I wanted to hunt and the places I wanted to go. Africa, New Zealand and Alaska were the three destinations I chose. I managed to tick Africa off my list during the World Cup of Soccer year (unplanned coincidence!) and never dreamed I’d make it to New Zealand. I couldn’t believe it when Vicki (Poronui’s Marketing Manager) phoned me to tell me that I had won the Red Stag hunt at Poronui. I had to go back on the internet and triple check that the place was real! I’d had a bit of a run of luck about the time that she contacted me and winning this Red Stag hunt really topped it off. After I was announced as the winner, I began counting down the days and keeping a keen eye on the Poronui Hunting Facebook and Instagram pages. I kept looking over all the stags that had been spotted by the guides and those that had been taken by other customers over the past 18 months and keeping my fingers crossed that there was the right trophy red stag left for me. It was great feeling so welcome as an archer at Poronui. My guide, Marcus knew all about bowhunting and how my needs differed from those of a rifle hunter. We stalked a few different stags over 3 days but in the end, Marcus got me into perfect position for my perfect stag (it was a little bigger than the one I was planning on taking, but I couldn’t resist!). From 31 yards, I took the shot and down he went. I had been practising up to 65 yards, just in case. If you had to pick one highlight about your Poronui hunt, what would it be? 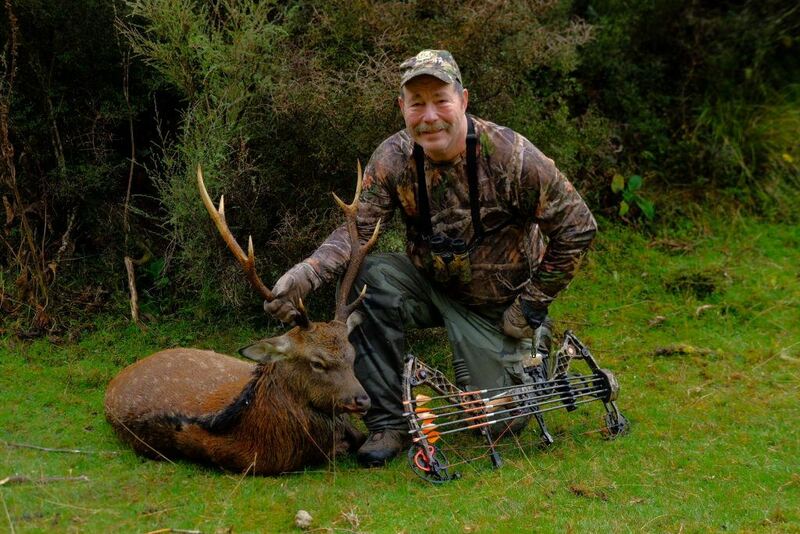 Hunting my Red Stag was the highlight but a close second for me was getting a New Zealand Sika with my bow. My guide Marcus and [the Head Hunting Guide], Mark McGlashan, warned me that it would be a challenge. Those Sika are wily and fast and do not like you getting too close. But with Poronui being the original liberation point of Sika in New Zealand, I couldn’t turn down the opportunity to hunt one with my bow. You’ve travelled with your partner Cheryl, who doesn’t hunt. How has the experience been for her? My partner Cheryl came with me on the trip, I couldn’t very well leave her behind when I was going to a destination, she informed me had been featured on The Bachelor! As a non-hunter but a keen photographer, Cheryl joined me and Marcus for a morning of hunting, but she mainly enjoyed spending her time in and around the Lodge. There were some other non-hunting wives staying at the same time and Eve, Claire and Elisabeth took great care to make sure all these ladies had plenty to keep them occupied. The highlight of the trip for Cheryl was a helicopter flight that we took on the Monday. 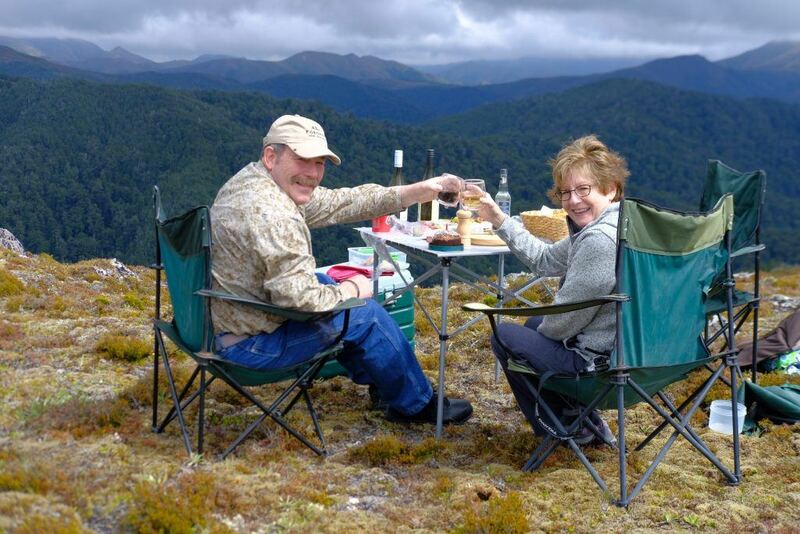 The chopper picked us up from the Lodge lawn and we flew over the property and out into the Kaimanawa Ranges. It’s a stunning environment and incredible to be able to view it from the air. The team also packed an incredible picnic for us one day and found a secluded hilltop for us to enjoy it from (where I could still keep an eye out for my next stag!). Cheryl is still talking about the massage she had at Poronui too. Cheryl also enjoyed planning a tour for us, post Poronui. She had us travelling around the South Island – Queenstown, Arrowtown, Mt Cook, Akaroa…and then on to Wellington. It was a holiday that gave us both, so much. Do you have any tips for fellow Americans heading to New Zealand for a hunting trip? I’d recommend using your outfitter’s gear. Less chance of damage and less paperwork! As a bow hunter, either post it to your outfitter in advance or COVER it with fragile stickers. The other thing I would recommend is being in good physical condition beforehand to get the most out of your hunt. Although the Poronui guides can cater to all abilities, the most fun I had was stalking over the hills, which were quite steep!